The efficient design of integrated circuits and systems is practically only possible with the use of software solutions. While the design of digital circuits is largely automated, analog components of mixed-signal systems are for the most part still designed manually. With increasing miniaturization, this task is both becoming increasingly complex and highly prone to errors. This results in long development cycles and high cost. »Intelligent IPs« (IIP) realize the automation of analog integrated circuit design as well as its systematic structuring. With IIP your IPs are designed faster, safer, and reusable. 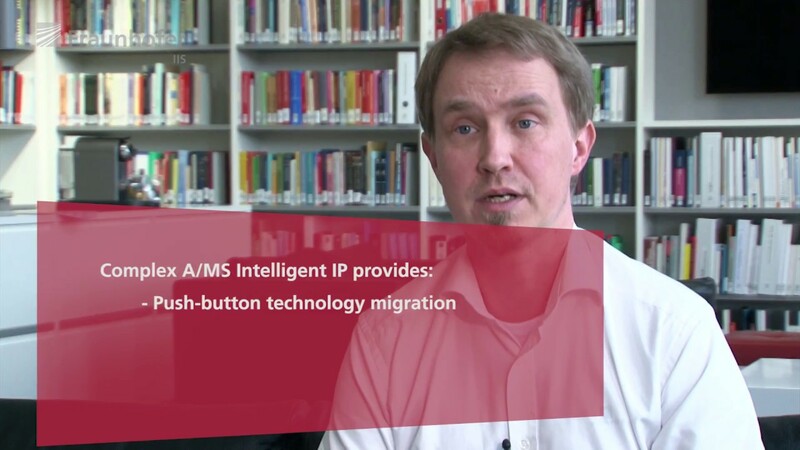 »Intelligent IP« is an innovative solution to implement the schematic in a reusable way as well as to generate layout components automatically within seconds. With IIP the most frequently used analog building blocks are migrated automatically into multiple technologies and nodes. User-driven automation ensures optimal control of generation that creates schematic, symbol, and layout from a single source. With »Intelligent IPs«, Fraunhofer IIS/EAS offers an applied solution for the automation of analog integrated circuit design.